I'm an avid reader. When I say avid, I mean I often have several books going at the same time. I listen to audio books on my way to work and have an e-book on my tablet at all times. I'm even 200% over my Good Reads goal for 2016! A few months ago, I learned about a book called The Secret Stitch. Written by C. Jane Reid, the book is the first in a series of historical fiction books about women who migrated to colonial America. The Secret Stitch centers around Ailee Donaghue, a young woman with an unfortunate past who marries a stranger and makes the journey to America. The book takes us through the treacherous trip across the Atlantic Ocean and the challenges Ailee and her husband face once they arrive. The part that I found most interesting was the hints about the origins of crochet. While never explicitly stated, we learn a little about how crochet came to America and how it was passed down from woman to woman. As a character, Ailee is very sympathetic. She's made some poor decisions and she looks at her current situation as making the most of what she created for herself. She is young and still trying to find her place. I really appreciated that she felt like an outsider most of the time. She worked hard for the people on board the ship and those she met once she arrived in America to like her. Like many of us, she is not good at everything. Her knitting leaves a lot to be desired. (Just like mine!) She does not know how to cook or keep a house because she grew up in a home where she had servants. Now that she is married, she is expected to learn how to do all of those things. I appreciated that she did not give up in the face of criticism and scorn. The Secret Stitch is, for the most part, a story about Ailee: her journey to wife-hood, her growth as a woman, and her ability to face trials . As it progresses, her relationship with her husband becomes closer (although I did want to shake him at times), so this book is also a romance. C. Jane Reid did a good job of communicating how awkward their marriage initially is and how trying it is to undertake as bold a move as they did as newlyweds. I don't want to give spoilers because it will ruin how crochet becomes important in the book, but I can tell you that as soon as Ailee learned "the secret stitch," I was dying to know more about it. The hints and descriptions of how she was using it drew me in and kept me reading long into the night. 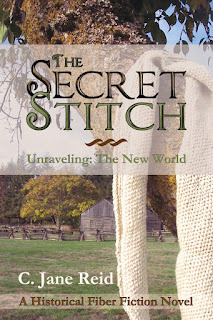 The best part about The Secret Stitch is that it is the first in a series by C. Jane Reid! Each story appears to be about a different woman from the ship Ailee and her husband traveled on to America. As we are introduced to the stories of the new characters, more and more is revealed about the crochet and an ancient mystery. Even better, each book features a crochet pattern by Laurinda Reddig of Recrochetions. This book contains a pattern for a cowl made with slip stitches! I really enjoyed The Secret Stitch and am planning to purchase The Sojourn Stitch, the next in the series, to find out what happens to Ailee's friend Elsie. I can recommend this book to anyone who likes historical fiction or historical romance. 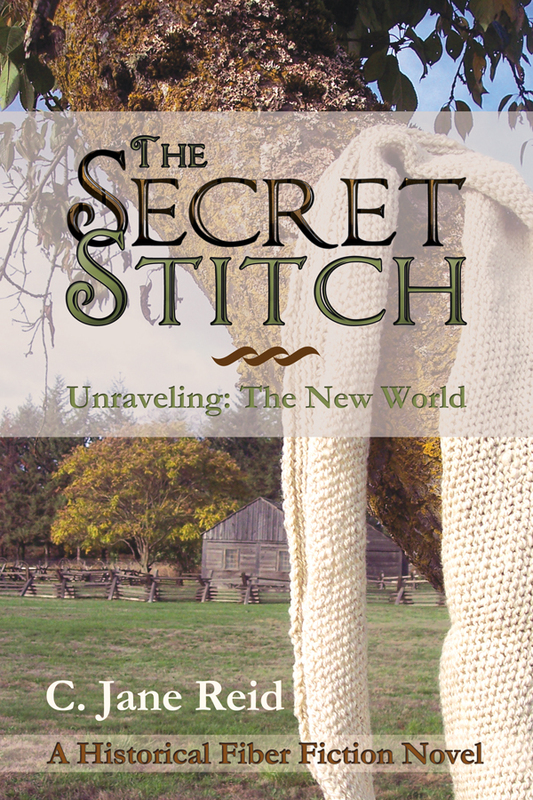 You can purchase The Secret Stitch in e-book form on Amazon, from Barnes and Noble, Kobo, Scribd, or Apple iBooks. Disclaimer: I received this book in exchange for a review and was not compensated by the author. All opinions are my own. I really enjoyed it!